Six suspects are being investigated over a grenade attack on Saturday at a rally by new Ethiopian Prime Minister Abiy Ahmed that left one person dead and scores wounded. 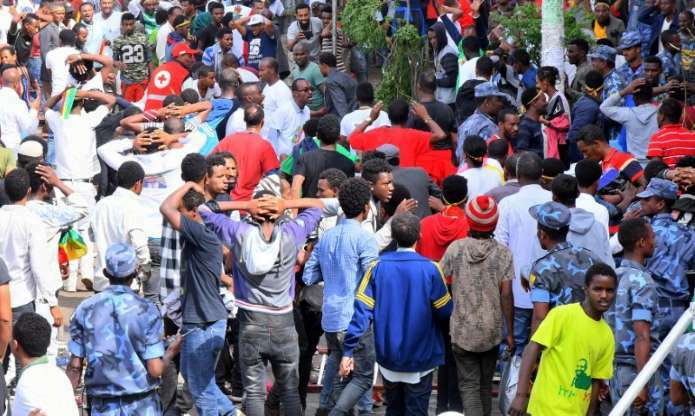 The attack was launched moments after 41-year-old Abiy, a former soldier who took office in April, finished his speech to tens of thousands of people gathered in the center of the capital Addis Ababa. Earlier, a witness saw Abiy whisked away by guards. Another witness told Reuters the assailant with the grenade had been wrestled to the ground by police before it exploded. "Six suspects are currently under investigation for involvement in the attack," the Federal Police Commission said in a statement. Health Minister Amir Aman said on Twitter that as of 6pm local time, one person had been killed and 156 wounded, with nine of them in critical condition. 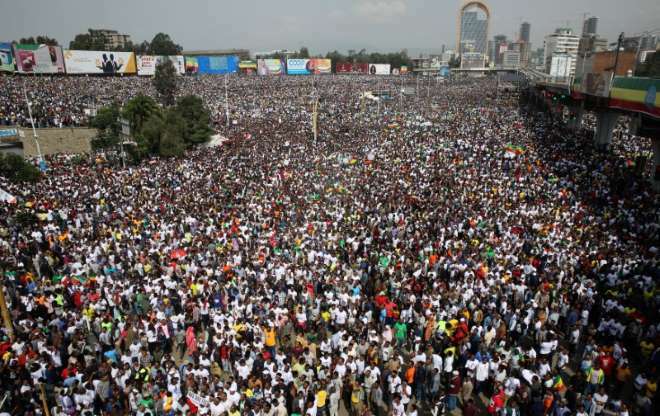 Abiy had promised the crowd in his speech in Addis Ababa's Meskel Square that he would bring more transparency to government and reconciliation to a nation of 100 million people that has been torn by protests since 2015. Abiy took office after his predecessor, Hailemariam Desalegn, resigned in February following protests in which hundreds of people were killed between 2015 and 2017. Emergency law was temporarily imposed to quell the unrest and was lifted this month. Despite boasting one of Africa's fastest growing economies, opponents say the benefits have not been shared fairly between ethnic groups and regions in the country, which has been run by the same ruling coalition for more than quarter of a century. Abiy has traveled around the nation, promising to address grievances and address political and civil rights. After Saturday's blast, the prime minister's chief of staff wrote on Twitter: "Some whose heart is filled with hate attempted a grenade attack." The U.S. embassy in Addis Ababa said: "Violence has no place as Ethiopia pursues meaningful political and economic reforms." Rally organizer Seyoum Teshome told Reuters he saw five people injured in the blast. "It was a grenade. Someone tried to hurl it to the stage where the prime minister was," Seyoum said. Eritrea's ambassador to Japan, Estifanos Afeworki, wrote on Twitter that his nation "strongly condemns the attempt to incite violence" in Addis Ababa, calling the rally a "demonstration for peace". Ethiopia's ruling EPRDF is made up of parties representing the country's four major ethnic groups. Abiy hails from the Oromo ethnic group, making up roughly a third of the population. In another of Abiy's major policy shifts, the prime minister has said Ethiopia would open its state-run telecoms monopoly and state-owned Ethiopian Airlines [ETHA.UL] to private domestic and foreign investment, both moves would loosen the state's grip.